Kicking off our list with Uber may seem like cheating, especially since the ride-sharing service was first established in 2009. But in Toronto, 2015 was the year of Uber, with barely a day going by without another headline about the app. In fact, Uber is so popular in Toronto, that the city was selected as the testing grounds for their latest innovation: a standalone Uber eats app. This app has single handedly changed the way Torontonians are commuting in their city, and is now also challenging how the office does lunch. This native application swept Canada after it’s release for Android in late 2014. The game, which is simple in premise, is not only expansive in the number of levels available, but has also incentivized game playing past the popular commute hours. By implementing weekend only challenges, which provide stickers and other awards, Two Dots has successfully ingrained itself into weekend downtime as well. This innovative game play also keeps people interested between level releases, and has successfully staved off app abandonment. This fitness app has been a staple of the dieting community for a few years now. However, it was recently acquired by Under Armour. This could not have been better for the app, which now offers a paid premium service, giving access to more deeper data analysis tools, further calorie breakdown, and full nutrition breakdown of thousands of foods. This takes the app from being a weightloss application to a true fitness application, filling the food data void that wearable fitness technology still has. Toronto installed WiFi on it’s subway platforms in 2015, allowing the downtown core to browse the internet while waiting for their train. This WiFi is limited to just the downtown core, and is near impossible to grab when actually aboard the subway carriage. This is where Pocket steps in. Pocket is your new newspaper. You can save articles, blog posts, facebook posts, and other forms of written media to your Pocket app, and it will be fully accessible when not connected later. Genius! This app has revolutionized commutes, with people now able to read and catch up on the media they want despite not being connected. 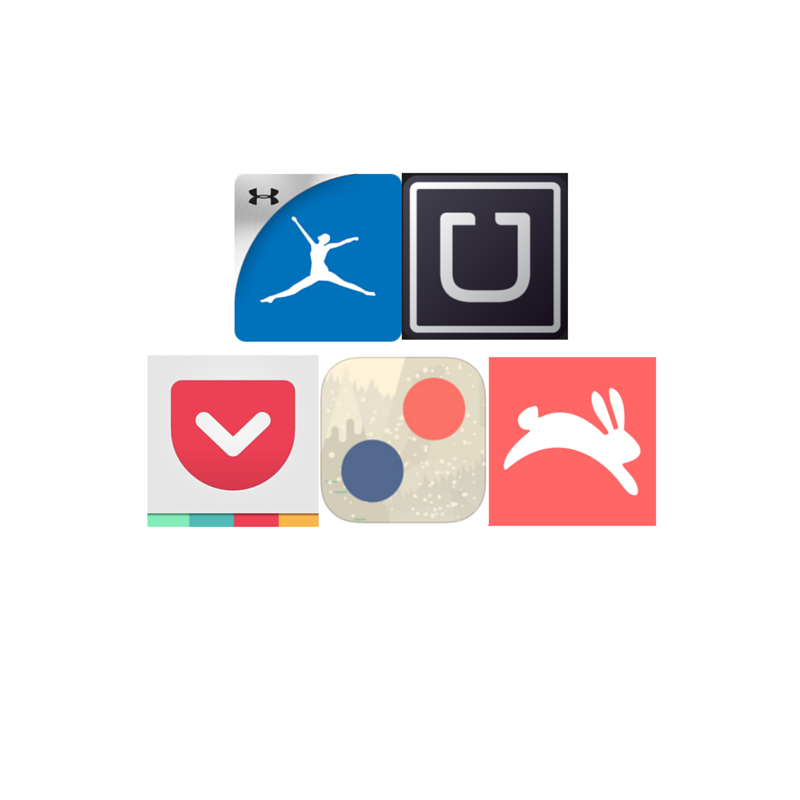 The final app we want to give a shout out to is Hopper. Hopper takes the work out of finding flight deals. Using data, it analyzes the days historically when the flights you want are the cheapest, and when you can expect to see prices rise again. Not only does it power you with the information to make an informed purchase, but it will also notify you when the price drops on your flight, allowing you to take advantage of deals you may not have been able to find elsewhere. Automating research is a huge help in modern society, and Hopper rises to the task without challenge.